The statistic shows the leading U.S. internet car dealerships in 2017, based on new and used unit sales. 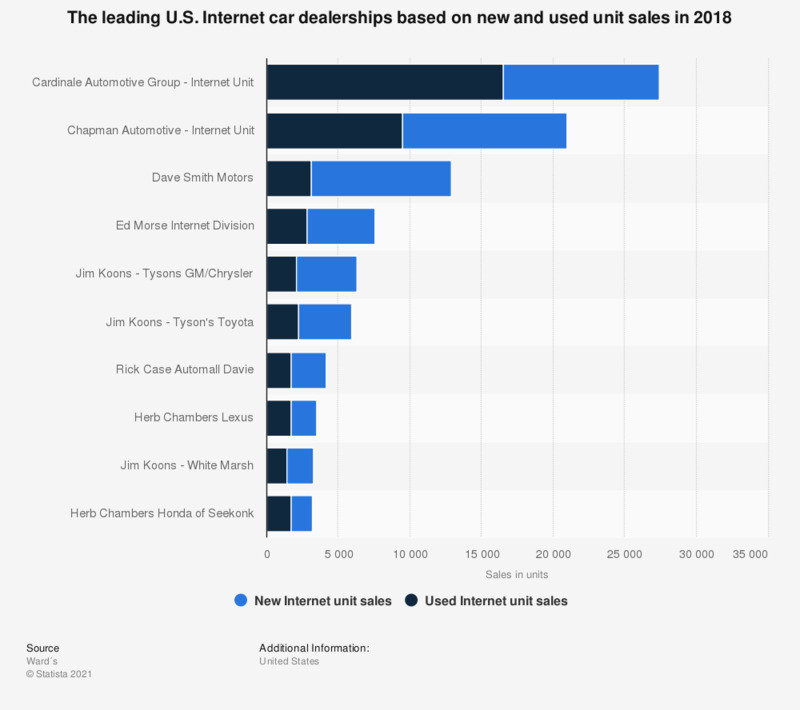 In that year, Chapman Automotive Group (Internet Unit) was the second largest e-dealer: Of the 20,000 unit sales, some 9,300 were new car sales and about 10,700 were used car sales. The data are based on survey results, public records and published materials. The ranking includes the 500 leading U.S. car dealerships based on 2017 revenue figures. Which of these new video formats would motivate you to buy a vehicle without test driving it?